Recovering the lost data which is accidentally deleted from our computers has always been a serious headache. But there are tools available which can help us to get our lost data back.We might often find people complaining that these tools doesn’t work.It is because they don’t follow some simple rules before trying to recover data. Let me tell you these simple rules and please make sure you follow them before going for a data recovery! Stop using the hard drive or partition from which you want to recover deleted files ,because if you’re trying to recover files from your C drive for example, any activity might accidentally overwrite them. 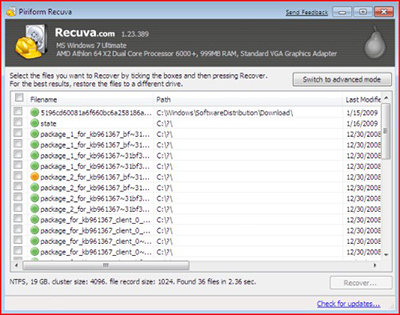 Do not install, download or extract the data recovery software on the hard drive that you want to recover. Do not save the recovered files on the hard drive that you’re recovering from. It is a free data recovery software from piriform, the same team that gave us ccleaner and defragler. Capable of recovering files deleted from recycle bins, memory cards and other portable device. It also has a deep scan mode where your chances of getting the data back is even better. Regarding compatibility, it runs good upto windows 7 32-bit. Haven’t tested it with windows 8 yet. It is also available as a portable version i.e you can run it directly from the downloaded file which is definitely an advantage! It is also capable of recovering permanently deleted files from your hard drives. Has a preview mode where you can view the recoverable images and texts from your harddrives. 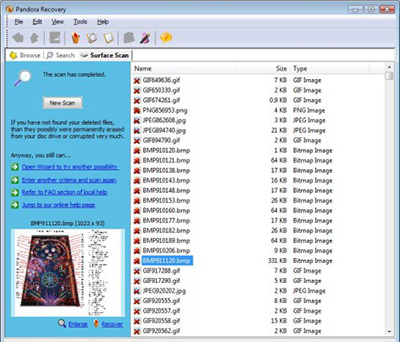 There is an option called as surface scan where you can search for files from a corrupted or reformatted partitions. There is also a helpful wizard which can guide you through the recovery processes. It is compatible up to windows 7. It Is the most easy to use data recovery tool currently available. It has a simple interface with a few but powerful options. 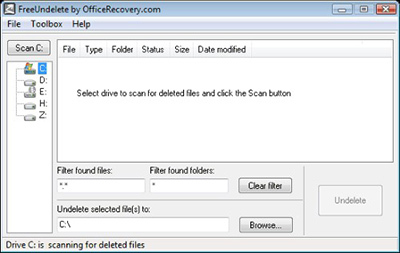 A scan button to scan for recoverable files. You can also search for a specific file by typing the file name in the search box. There is also a wipe button which can permanently delete the recoverable files from any partition except the drive where your OS is installed. It is just another simple tool for data recovery. Supports various file systems such as NTFS 1.0, NTFS 2.0, FAT12, FAT16 and FAT32. Available both in portable as well as installer versions. Avira UnErase personal is a bit older than the other tools listed here but still works good. It supports file systems such as NTFS 1.0, NTFS 2.0, FAT12, FAT16 and FAT32 like others. It also supports dynamic disks, software and hardware RAID, volume sets and stripe sets which is useful for advanced users. The interface is less graphical and consumes less memory which is definitely good for low configuration systems. It is also available as portable version. You can get it from various mirrors. So simply Google it. 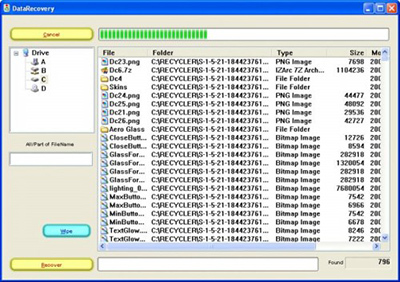 All these data recovery tools are simple and equally efficient.You can use any of these tools to recover your lost datas as per your wish. But just remember to follow those simple rules I stated before for a successful recovery. If you have any difficulties or suggestions, share it in the comments section below. Happy computing!